Books at the Unicorn Bookstore. 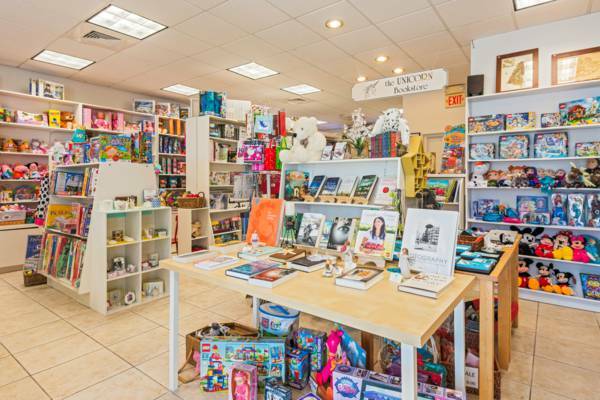 Located in the Graceway Plaza, Unicorn Bookstore stocks books, games and toys. Many hard to find books on the Turks and Caicos are sold here. The Unicorn Bookstore carries a wide selection of books, gifts, greeting cards and toys.